Aquila Private Game Reserve is a 4-star luxury reserve, which plays host to the big five. Guests can seek a true escape from everyday life at the lodge while they unwind in the large swimming pools that overlook the reserve and take in the natural panoramic views of the Langeberg and Outeniqua mountains. The lodge is located in the historic town of Touws River in the Southern Karoo, Western Cape. Only a two-hour drive away, it is the closest game reserve to Cape Town. 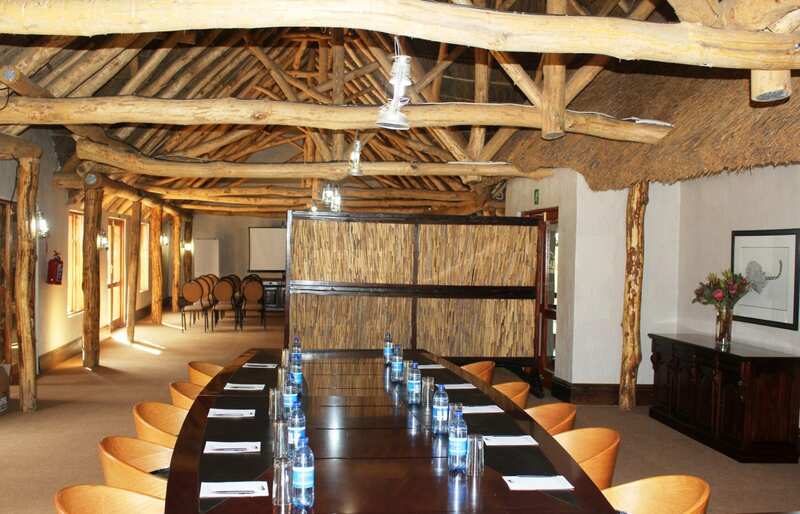 Aquila Safari Lodge offers event organisers a spacious conference centre with breakaway rooms, a buffet area and a beautiful boma lounge, which can be used for private lunches or braai dinners. 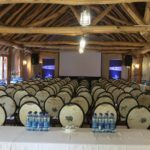 In keeping with sustainable events, the conference centre is built from natural materials such as river pebbles, reeds, wood and thatch, ultimately creating a tranquil setting for an event. Aquila’s triple volume restaurant is perfectly situated to offer breathtaking views of the reserve. The upstairs viewing area enables guests to enjoy cocktails while watching the sun set behind the magnificent Karoo mountains. 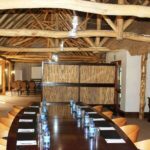 This spacious African character building is the perfect setting for the extensive buffet-style meals, with food to suit all culinary/dietary requirements and prepared by our resident chefs. Traditional South African cuisine is also an option. Exclusive dining for groups can be arranged in various enchanting venues including deep in the reserve where a traditional barbeque option is offered. Platters can be served in the conference area with tea, coffee and other beverages. All alcoholic and non-alcoholic beverages will be provided upon request. The accommodation at Aquila Safari Lodge comprises of chalets and a lodge. The chalets encompass the essence of the bush environment without compromising on comfort. The newly completed Aquila Lodge, situated adjacent to the restaurant, comprises of 3 levels and is accessible via a glass panelled lift with magnificent views of the Karoo. 22 units face the reserve and the mountains and another 22 rooms are situated behind the mountain-view rooms. Modern Afro-chic interior design is used in the lodge. 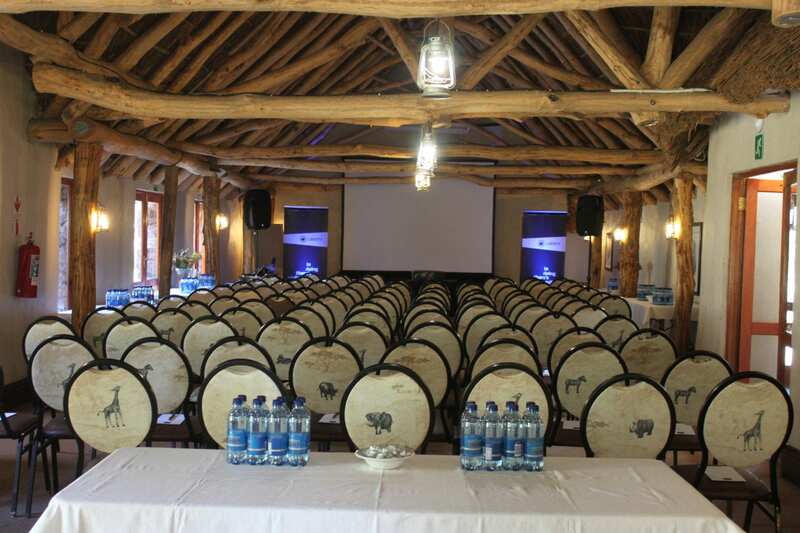 Aquila Private Game Reserve can accommodate 168 guests sharing and 77 single occupancy.